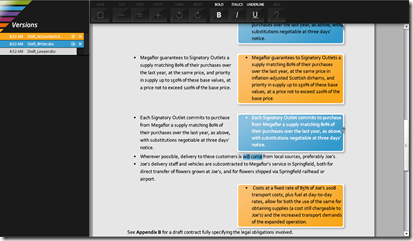 I’ve earlier shared tools like TextDiff, WinMerge for comparing files and folders and also How you could compare 2 word documents using MS Word, but incase you can’t get your hands onto such tools the next time you can try CompareMyDocs, an Online Document Comparison Tool that can Compare, ReCombine and Merge documents online and is based on the TextFlow API. The BETA version currently supports 3 document formats (.doc, .docx and .rtf ) and text only documents containing no tables and images. Visit CompareMyDocs.com and then browse and upload the documents you want to compare, and press “Compare” button. 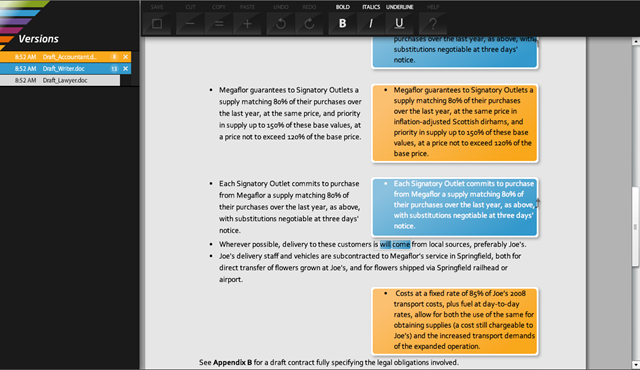 On comparing the tool show the differences from the documents be accepted/rejected or moved to scrap board.You can compare the documents,edit them and save the final document on your system, without even using any word processing application on your system and all from your web browser itself.